Awesome Ranch home with darling front porch in Brighton Crossing. Basement is ready for you to make it your own. Large Master Bedroom has a walk-in closet, beautiful custom made sliding barn style door. This great home also features Stainless steel appliances, kitchen pantry, lots of cabinets and a handy island with even more space, Don't forget the Oasis swimming pool (with an additional community pool coming soon) Huge fitness center and parks throughout. Conveniently located near the new King Soopers, major box stores, lots of restaurants to chose from. 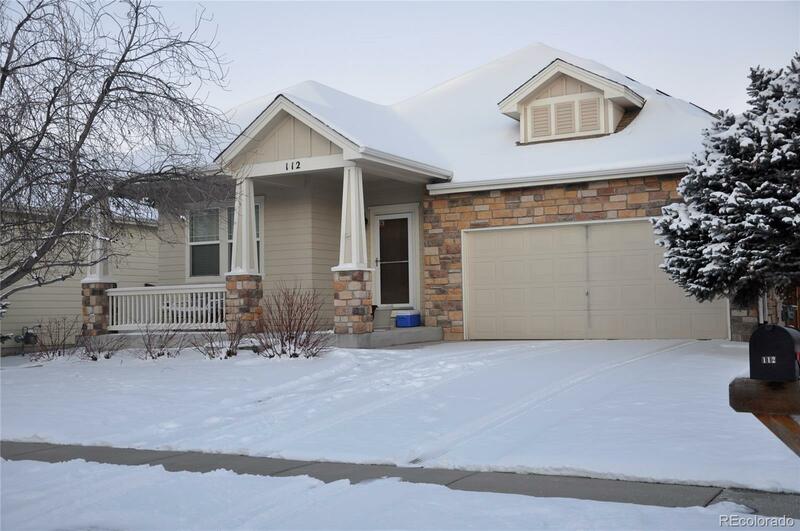 Close to dog park, walking trails, open space, Bar lake, Denver International Airport, and newer Hospital! The best part about this home is the seller is offering $6,000 for cosmetic upgrades or towards your buyer closing costs! WOW! What a deal!